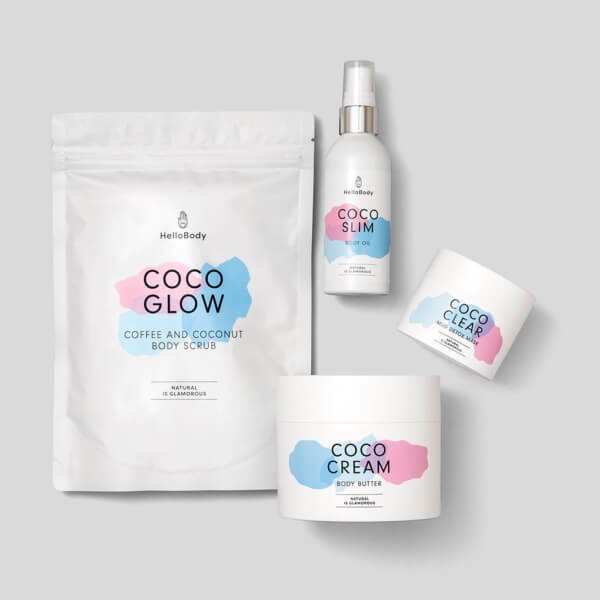 Coco lover, this is the set for you! 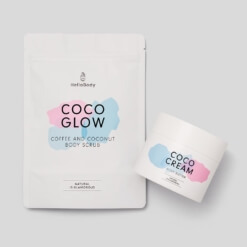 Go coco-nuts with our COCO CLEAR cleansing mask and our COCO GLOW coffee bean scrub. For hydration, use our nourishing COCO CREAM butter on the driest parts of your body and our COCO SLIM body oil on areas prone to stretch marks. Discover the benefits of this set! 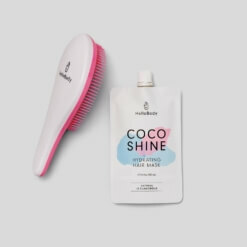 Using our MASK BRUSH or your fingers, apply a generous coat of COCO CLEAR to your cleansed face, avoiding the eye area. Leave for a maximum of 15 minutes before rinsing with cold water. Step 2: In order to complete your hydration, use our nourishing butter COCO CREAM on the driest areas and our firming COCO SLIM oil on the areas you want to firm, such as thighs or bottom. Is this the set for you? Leave us a review!